The Yosemite National Park is filled with incredible natural wonders around every corner. Waterfalls, wildflowers, and mountain peaks are just a sample of what you can see in this breathtaking destination. While you’re taking the time to explore this extraordinary spot, be sure to see the Merced Grove while you’re here. This is an amazing attraction that is a favorite spot of many for several reasons. Take a look at what you need to know about the Merced Grove and make plans to see this attraction today! Where Is the Merced Grove? The Merced Grove is located near the western boundary of Yosemite National Park, north of the El Portal and Merced River and not too far from the Crane Flat. What Are Some Things to Do in the Merced Grove? The best activity to enjoy in the Merced Grove is hiking. The Merced Grove Trail is a favorite hike of many outdoorsmen for several reasons. The Merced Grove is the smallest and most secluded of the Yosemite sequoia groves, making it a quiet and peaceful experience. This trail is also short (about 3 miles round trip), smooth, and wide, so visitors of all ages will have no trouble hiking here. There’s also a parking lot located at the trailhead, making this trail easy to access. You’ll also be able to view a variety of different wildflowers here if you’re hiking this trail in the spring. What Are Some Great Nearby Attractions of the Merced Grove? If you love the Merced Grove, you’ll be happy to know there are other Yosemite sequoia groves to explore! The Tuolumne Grove in Yosemite is highly popular as it contains a fun 2-mile hike and the iconic Tunnel Tree. The Mariposa Grove of Giant Sequoias is another landmark area within Yosemite National Park that people love to visit. It’s closed until fall 2017 for restorations, so be sure to plan your trip to see the improvements once it’s re-opened! 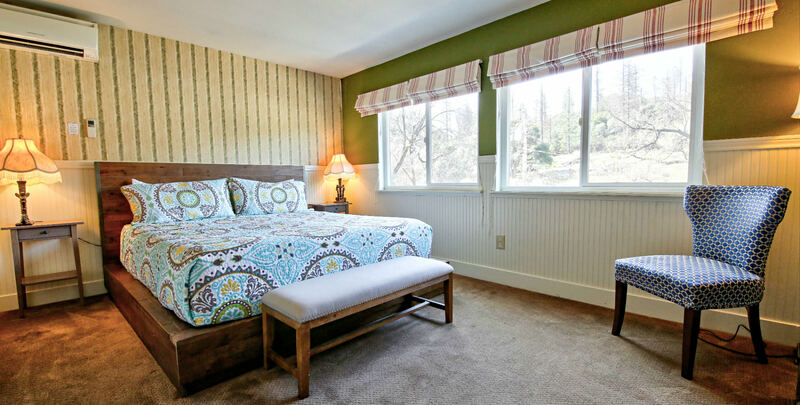 After a wonderful day of exploring the many attractions of Yosemite National Park, settle down in the comforts of Hotel Charlotte, a historic bed and breakfast in Groveland, California, located at the gateway of Yosemite National Park. We offer luxurious lodging and outstanding amenities; we can even book you a Yosemite private tour, as we are partners with Yosemite Family Adventures. Here at our bed and breakfast, you can choose from staying in one of our twelve lovely rooms or renting one of our cozy apartment rentals, which have the perfect amount of space for families. We also have an beautiful living room, friendly and helpful staff, and even our very own Fork and Love Restaurant to accommodate all of your needs! Don’t wait another minute to start planning your dream vacation; check our availability and book your stay today!